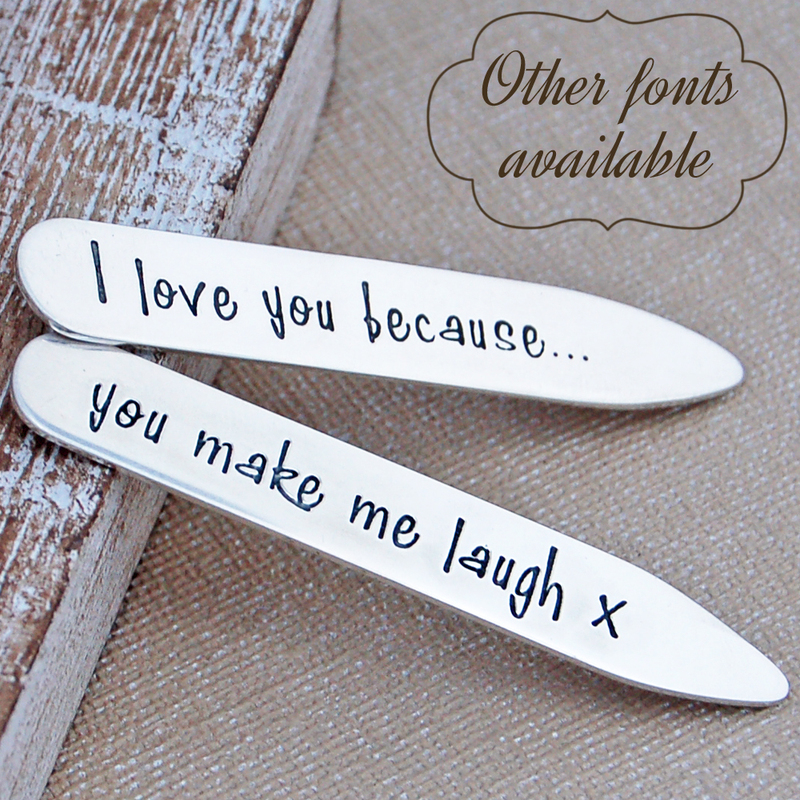 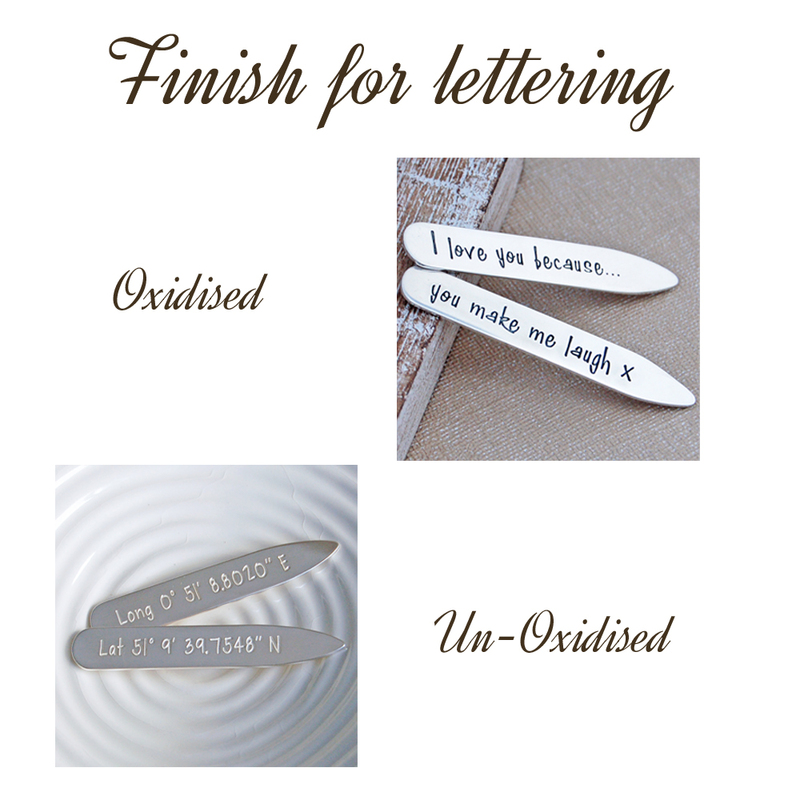 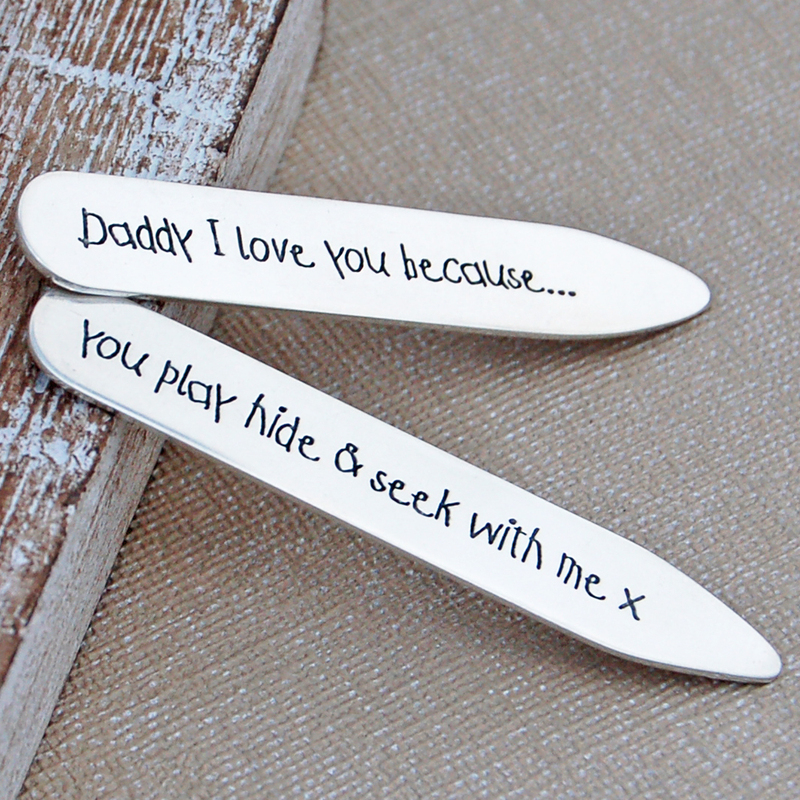 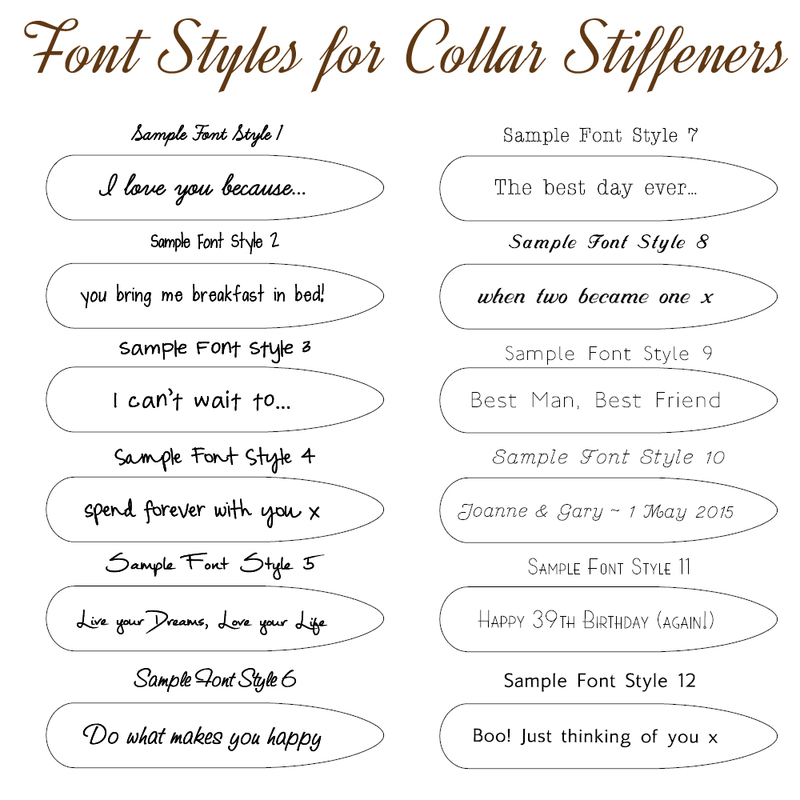 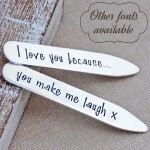 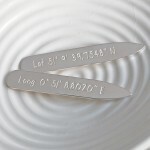 Our shirt collar stiffeners are hand cut from sterling silver sheet and then etched with your personal message, names, special dates, favourite quotes, song titles, inspirational words – anything meaningful to your special man. 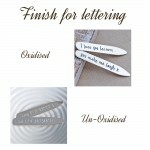 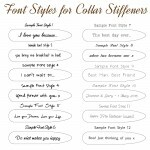 We can etch up to 30 characters on each collar stiffener so there is plenty of room for your message. 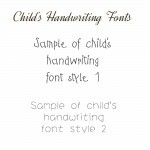 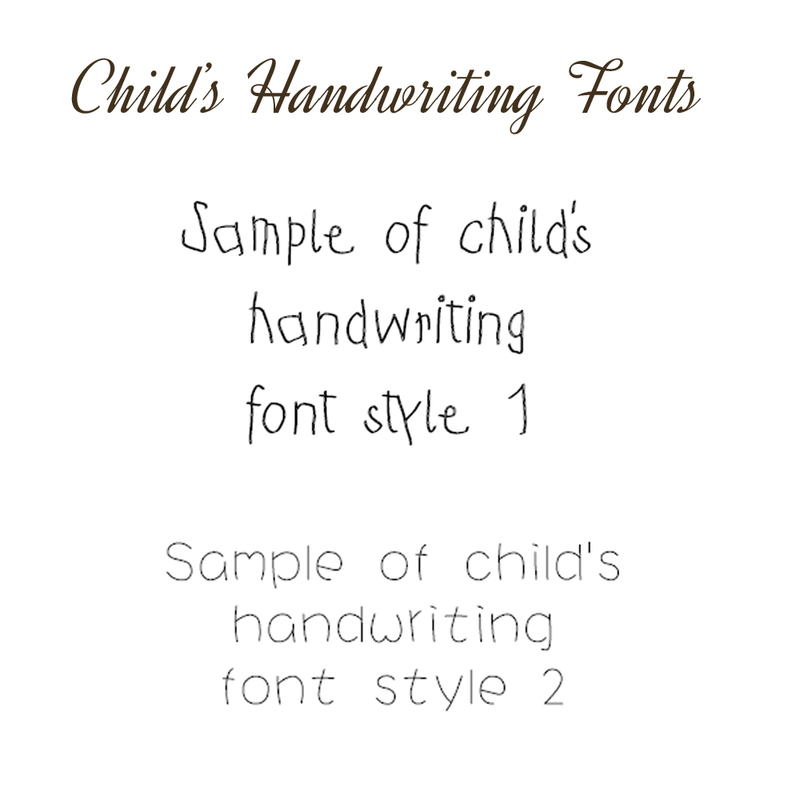 A unique gift to celebrate special occasions such as the birth of a new baby, Christening, Wedding, Anniversary, Father’s Day, Birthday or Valentine’s Day that will be treasured forever. 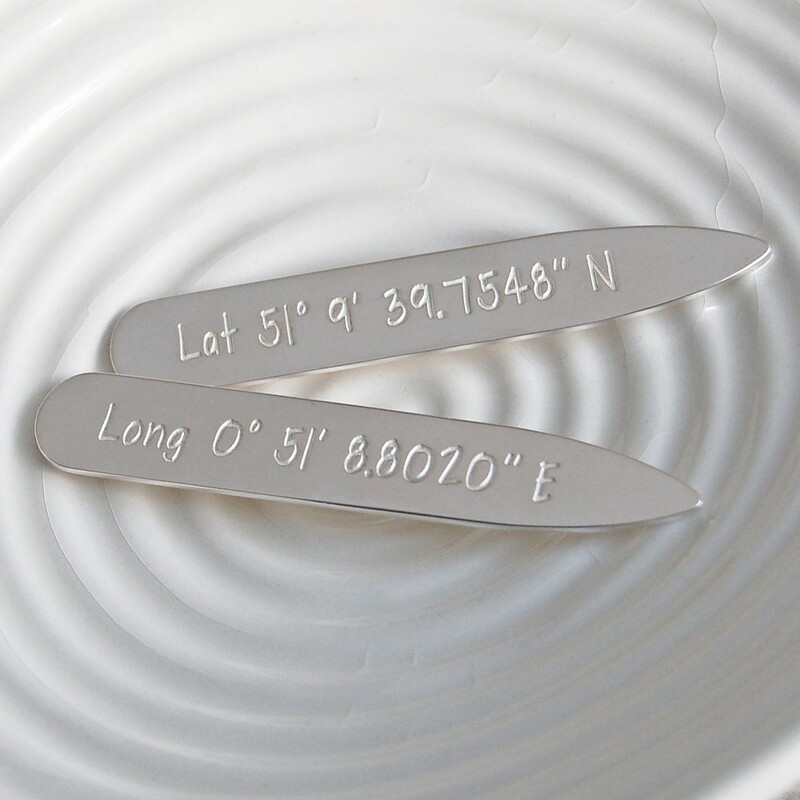 Our silver shirt collar stiffeners measure 6cm in length and 1cm wide and are a nice sturdy 1mm thick.